Occasionally, I have needed to supplement nursing with formula and have been researching organic options. Surprisingly, there are several manufacturers of organic baby formula and it is not necessarily more expensive than conventional formula. sweeteners – does it contain corn syrup or sugar? 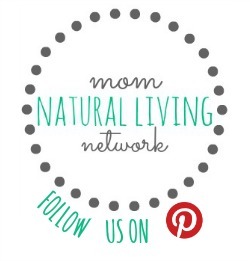 Nature’s One Baby’s Only Organic – This is what I personally used for my babies. Developed to meet Academy of Pediatrician guidelines for nutrition. Options for all baby needs such as with DHA/ARA or without, extra protein, soy, lactose sensitive, vegetarian, dairy free, and kosher. 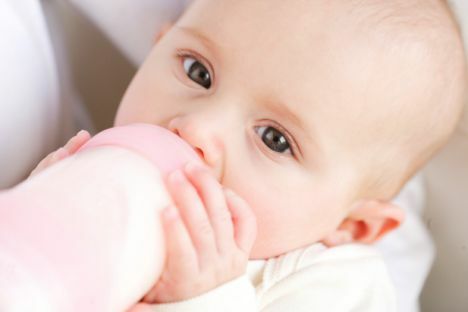 It is labeled as a ‘toddler formula’ but that is because the company wants to encourage breastfeeding as it does meet the FDA nutrition requirements for infant formula. Baby’s Only does not contain any GMO ingredients, brown rice syrup, corn syrup, palm olein oil or hexane processed DHA. The canisters and lids are uncoated so they are BPA free. More info about dairy formula with DHA/ARA vs. without. $12-14 per 12.7 oz can or I highly recommend buying a 6 pack making them less than $10 per can. Similac Organic – Similac Organic is USDA certified organic and contains both DHA and ARA. It does contain organic sugar and hexane processed DHA but is free of palm olein oil. Similac has both the traditional can of formula and the SimplePac, a plastic tub made with polypropylene which is BPA Free (although SafeMama reports that Similac couldn’t confirm that ALL parts of the container are BPA free, the powdered formula itself tested BPA free). $31 per 25.2 oz can. I’ve confirmed that the following 4 organic infant formulas are all manufactured by PBM products. According to Joan, a nutritional support specialist with PBM, “Each one is made for a specific retailer and while they are nutritionally comparable, there may be slight differences in there formulations.” In a separate email, “bisphenol-A (BPA) is a known functional component in the manufacturing process of the current packaging used for PBM infant formula products.” They added that they are currently researching alternative packaging. Earth’s Best Organic – In soy or dairy, Earth’s Best is USDA certified organic and contains both DHA and ARA. It does not contain any sweeteners but does contain palm olein oil and hexane processed DHA/ARA. $23 per 23.2 oz can. Parent’s Choice Organic – Sold at Wal-Mart, Parent’s Choice is USDA certified organic and contains both DHA and ARA. It does not contain any sweeteners but does contain palm olein oil. $26 per 23.2 oz can. Vermont Organics – In dairy or soy, Vermont Organics is USDA certified organic and contains both DHA and ARA. $23 per 23.2 oz can. Bright Beginnings Organic – Bright Beginnings Organic is USDA certified organic and contains both DHA and ARA. It does not contain any sweeteners but does contain palm olein oil and hexane processed DHA/ARA. $27 per 23.4 oz can. If you use formula several times a week or more regularly, it may be a good idea to buy formula in 6 or 12 packs. All of these formulas come in bulk and most with some cost savings over purchasing individual cans. NOTE: All the formulas listed above meet the FDA Nutrition requirements for infant formula. EDITED 05/18/2010: The government has banned the hexane processed DHA/ARA in organic infant formulas. As of today, the only organic formula without this type of DHA/ARA is Nature’s One Baby’s Only Organic. It is not true that these formulas do not contain sweeteners. The dairy based formulas (except for Similac) contain organic lactose, which is a sugar. The soy formulas of all of these brands contain organic corn syrup, except for Baby’s Only soy, which contains brown rice syrup. Human milk is much higher in sugar than cow’s milk or soy. Adding sugar to formula is not just an issue of sweetness, it’s a nutritional requirement. It’s not true that these organic baby formulas do not contain sweeteners. THEY DO. Almost all of them contain some form of corn syrup. Baby’s Only does not have corn syrup, but its first ingredient is rice syrup, which is admittedly better than corn syrup, but nothing to jump for joy over (especially since its the first ingredient, meaning that there is more of it than any other ingredient – the FDA requires ingredients to be listed in order of what there is the most of). I have yet to find an organic formula without sweetener. It’s incredible. Thinking of making my own formula, as I won’t have time to breastfeed or pump as much as I’d like when I go back to work. So which formula is safest/healthiest!? It’s so hard to decide which to give my sweet baby. Excellent article! SO glad I found it. Thanks! One’s Baby is better than all the other formulas. Thank you so much for posting this! Its hard to sift thru all the potential hazards when it comes to keeping my family safe from over commercialized products containg so many dangerous chemicals. I think its the reason for so much sickness thses days. Especially cancers. Im sorry,i reread the page pertaing to the bpa issue. You may edit my previous question if you like.